RETIRE IN STYLE BLOG: Can You Hear Me Now? 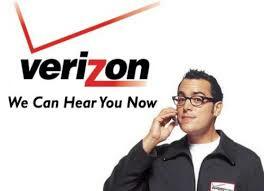 I think it was Verizon that aired the commercial using the catchphrase "Can you hear me now?" It was very popular back in the day. I remember trying to call Tucson, AZ from a spot in southwest AZ called Why. I was standing outside so I could get a better signal. The traffic was bad at the corner and my reception was little to none. I needed to reserve a spot in a RV park for the night. The conversation was centered around "Can you hear me now?" as I moved from one location next to the road. 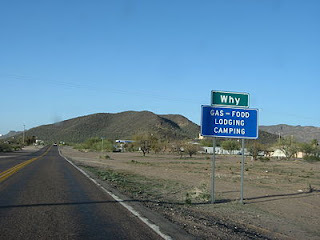 We did finally find a connection and a place for the night but it was not easy. That was back in 2004. We are back to using that phrase here in my house once again. My husband has just gotten his new hearing devices and it includes a microphone that I wear clipped to my collar. I ask him several times a day if he can hear me. And he can. He can hear what I am saying clearly even when I wish he couldn't. No more mumbling my rants out loud! Hearing loss is one of the most frustrating and disabling things that can happen to a person. Social interaction is very hard and tasks like buying at the store or talking to the stockbroker can require help from someone else. This device even has a bluetooth connection to his iPhone because talking on the phone is a problem. Before, I was my husband's walking, talking, phone calling microphone. I think the worst thing of all is the hit to the ego. Most of us don't want to admit that we simply cannot hear what another person is saying. After a while, asking to have everything repeated gets very old. I know I cannot hear when people are "low talkers". I have begun wearing my hearing aids all of the time. I admire my husband for having the courage to admit his need for help. It was not easy. So, watch out everybody because we can hear you now! Hi, Barbara- How long did it take your husband to go from not being able to hear clearly to agreeing that he needed a hearing aid? My husband is still in the denial phase...and I currently need to repeat my words. Often. My husband served in the Navy for four years. He worked inside jet engines. His hearing loss has been a lifelong problem. But it wasn't until he retired and he thought that I had hearing problems that he consented to get some for himself. It took a friend telling him that there was a problem. Good luck! I've had a hearing issue for many years - not age related and only in one ear. I've looked into aids but they are so flipping expensive. I know I am driving my husband crazy (he has a soft voice and I often have to ask him to repeat himself), but he often can't hear me either (I guess I have a soft voice too). It may be time soon to bite the bullet. I think you have hit on a hot button issue! Honestly, most people don't get hearing aids because they are in denial. They don't get hearing aids because "they are so flipping expensive". But I think they are much more important than anything we can purchase, they last for many years if you take care of them and all hearing aid sales places have an "easy payment plan". Maybe now is the time to take advantage of that option. This all about the quality of the rest of your life. My husband has hearing aids he refuses to wear. I am TIRED of repeating myself. I don't think either B or I hear as well as we used to, especially when we're on the cellphone. Are we in denial? Or is she just ignoring me? I don't know if a hearing-assist device would improve my mother's quality of life but I'm convinced it would improve mine! We're often accused of "sneaking up" on her; we're all a "bunch of low-talkers". She blatantly refuses to access a hearing aid for which she has many excuses. I see how it's become socially isolating for her because she can't manage in a crowd. The normal noise created by her great-grandchildren is too much and she reacts negatively to them. I'm learning that her annoyance isn't directed at us so much as it is at her failing abilities. Maybe she is like so many elderly people, she doesn't want to spend "all that money" on something that she sees as frivolous. I for one believe that we cannot take our money with us, our children don't want or need our money and wearing a hearing aid is much like wearing glasses...it should not be a choice! Let me know what he finds out. Honestly, it is not worth waiting. Let me say right here that hearing aids are a pain in a lot of way, especially for those that are profoundly deaf like my husband. There is a learning curve in that a person needs to take time to get them adjusted and to learn how they fully function. But it is worth it.